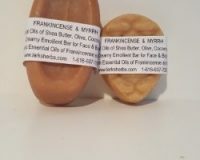 Home / BAR SOAPS / Insect Repellent Soap Bar..4oz. 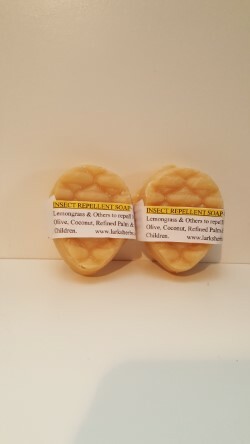 We have blended the same Organic Essential Oils in our Insect Repellent Massage Oil to make an Insect Repellent Soap Bar to give maximum protection against Biting Insects. SAFE for BABIES and ALL SKIN TYPES. If you have questions please TEXT or Call 616-607-7058. 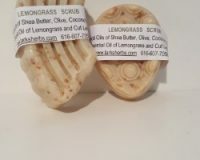 LEMONGRASS SCRUB- Strong Scented Spicy Lemon Bar….7 oz. 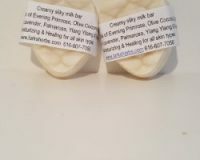 CREAMY SILKY MILK FACE & BODY BAR……….4 oz.